There’s one at every beach, looking just a bit decrepit, with ratty curtains in the windows and a pair of fuzzy dice hanging from the rearview mirror. 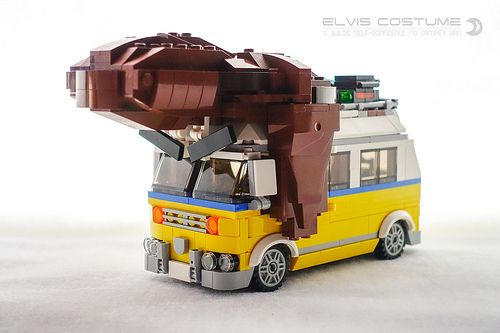 The Volkswagen Van has been captured as LEGO sets a few times, including the hugely popular 10220 Volkswagen T1 Camper Van (still available after more than 7 years). 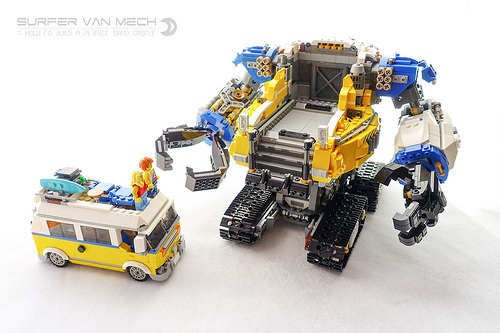 David Liu has used 31079 Sunshine Surfer Van (not officially a VW, but who is LEGO kidding?) as the basis for a rather spectacular mecha. But this mech has a very important purpose! 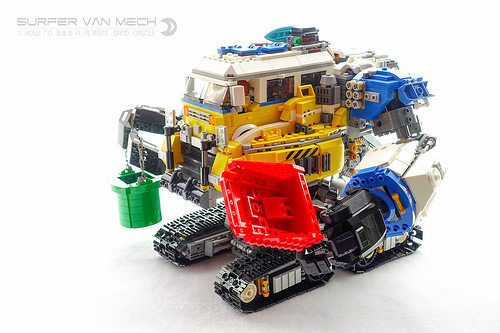 Equipped with a pail and shovel, this camper van mech is ready to build the most awesomeest, ultimate (ULTIMATE) sand castle ever! 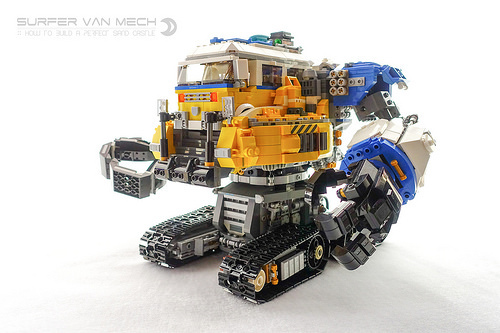 Naturally, the camper van can decamp from the mech so you can make a run to the local convenience store for Funyuns or whatever. That is one of the best things I’ve ever seen.